On Friday, Feb. 8, sophomores Sophia Odaka and Marilene Van den Berg cut and donated their hair during A lunch. 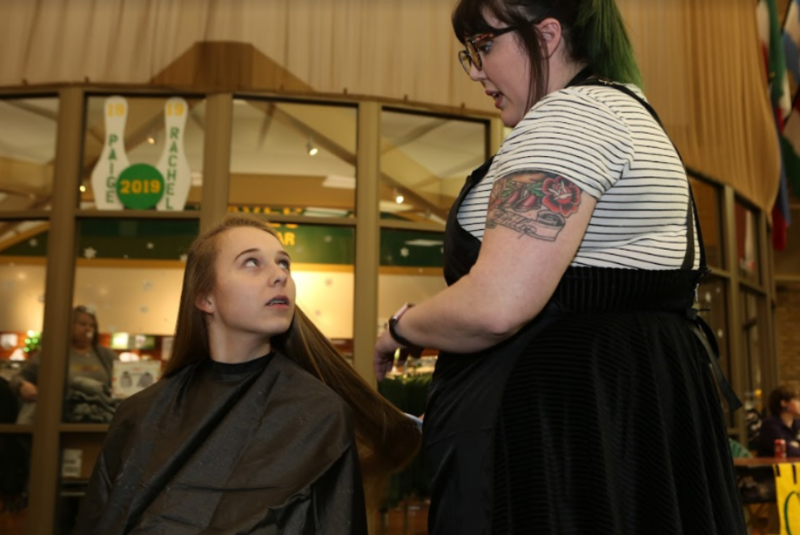 During B lunch, seniors Peyton Gilhart and Hannah Kirkham donated their hair and shaved their heads, along with sophomore Shoshi Stern and senior Colin Walker shaving their heads for awareness. This year, Fashion for the Cure has raised over 30,000 dollars for The Dragonfly Foundation, which is a non-profit that supports those affected by pediatric cancer. To continue supporting Fashion for the Cure and The Dragonfly Foundation, be sure to attend Fashion for the Cure on Feb. 15 at 6:30 p.m.